Republican Sen. Chuck Grassley has roasted The History Channel for years. He would prefer if the network aired more historical programming. Many have expressed agreement with his tweets on the subject. Perhaps nothing has drawn the ire of top Republican Sen. Chuck Grassley like The History Channel’s programming. For more than six years, the Iowa Republican has been relentlessly roasting the channel on Twitter in President Donald Trump-like fashion for its lack of history-based programming. Usually, Grassley is much more forceful in his critiques. “Just watched history on An American Experience abt Thomas Edison the inventor Thx Comcast on Arlington Va Channel 19 DO U GET MESSAGE HISTORY CHANNEL?? ?” he wrote on December 30. “Now w Kennedy FileS being released the HISTORY CHANNEL has opportunity for real history instead of BEING NONHISTORY CHANNEL,” he tweeted in late October. Sometimes though, Grassley expresses hope in the network. He will sometimes post when notified that history programming is taking place on The History Channel. While The History Channel did not return a request for comment from Business Insider, it has replied to some of Grassley’s past tweets. When Grassley tweeted in October about how the network had the opportunity “for real history instead of BEING NONHISTORY CHANNEL” when the secretive Kennedy files were set to be released, The History Channel replied with a link to its report on the documents. Last week, when Grassley posted his photo from the Capitol bathtubs, The History Channel asked him for help on a possible collaboration. 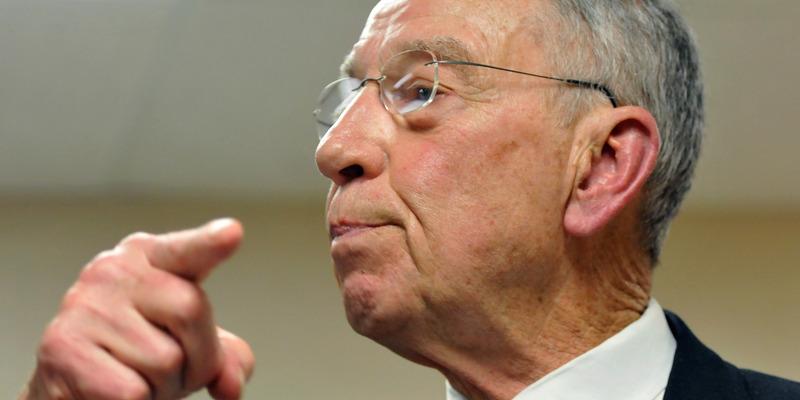 Grassley has built up a sizeable fan club on the subject. And most observers appear to be on his side of the argument. So long as the channel maintains its current lineup, it doesn’t appear as if Grassley’s war against it will end anytime soon.